Apple CEO Tim Cook today confirmed what many of us were worried about: you'll be charging the Apple Watch every night. During an on-stage interview at WSJD Live, the Wall Street Journal's technology conference, Cook told the audience that Apple thinks it's foray into wearable technology will require a daily overnight charge. "We think you're going to end up charging it daily," said Cook. The views expressed in this article are those of the author and do not necessarily represent the views of, and should not be attributed to CyberShack as a publication. This won’t make or break the Apple Watch as a piece of technology, the LG G Watch, Moto 360 and Samsung Gear Live all have a similar battery life. At the end of the day, making it to the end of the day is the important thing with a gadget – especially when its sitting on your wrist. No one wants to be seen wearing a flat smartwatch, there is nothing chic about a lifeless black rectangle. While the majority of Android Wear smartwatches are inherently geeky devices, Apple hopes that its wearable will transcend the nerdy image. 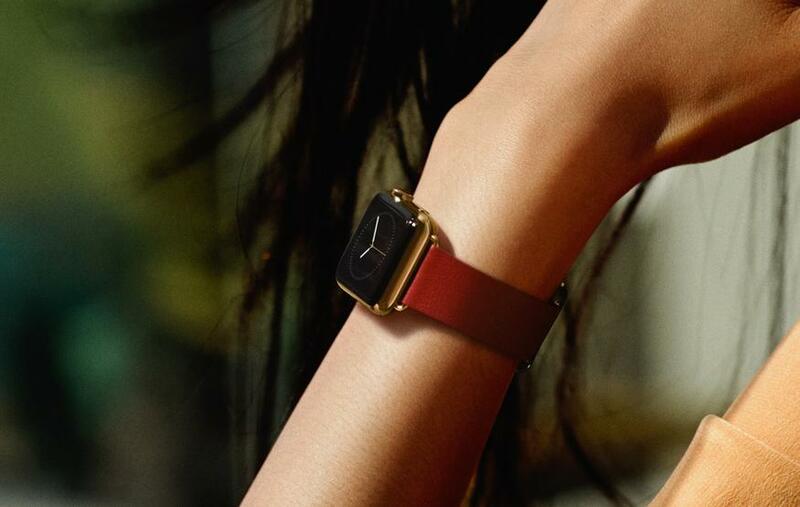 The Apple Watch isn't meant to be a gadget, it's meant to be a fashion accessory. Considering that Apple are planning to release 34 different models across three different collections, this message couldn't be clearer. Even if you don't like the look of the Apple Watch, you can't deny the fact that Apple are trying to make a wearable that appeals to more than just the bleeding-edge early adopters. But a short battery-life could severely hurt the Apple Watch's mainstream appeal. We have no problems charging our phones every night, because a phone is a device we need daily. The problem is, a smartwatch isn't something we need, or at least, think we need. Wearable technology is still a brand new device category, and as such, people aren't habitually using it. If we need to charge the Apple Watch every night, it's one more thing to do before climbing into bed, and one more thing to forgot. I still forgot to charge my phone every now and again, and I couldn't do my job without it. Conversely, if I've forgotten to charge my smartwatch before heading to work, more often than not, I end up abandoning it for a few days. After a while, I'll think "oh, I should charge that", but I don't rely on a smartwatch the same way I do a smartphone. It's not a concrete part of my daily routine, I don't wear it out of habit. For the Apple Watch to be a success, people need to form those habits. People need to wear it daily, people need to feel that it's a part of their lives, so that they upgrade when the Apple Watch 2 inevitably arrives. After all, no other fashion accessory needs a daily juice up. Having said this, I haven't had a chance to go hands on with the Apple Watch, and it's possible the experience itself will be good enough to get people into the habit of giving it a nightly charge. If Apple has a smartwatch that people can rely on, these habits will form faster; the overnight top up will simply become another part of the nightly routine. Either way, I can't wait to get my hands on an Apple Watch, but I'm even more excited to see if Apple will be the ones to help the smartwatch escape its geeky trappings. If anyone is going to make a smartwatch mainstream, I think it will be Apple.